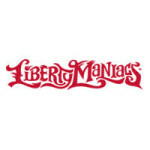 Liberty Maniacs bills themselves as an independent clothing and lifestyle brand for freethinkers that want to show off their political philosophy through satirical apparel, accessories, and home decor products. Never shy about attacking people on both sides of the aisle, Liberty Maniacs takes aim frequently at the PC culture and Outrage culture of today with many of their best-selling products. Everyone from the NSA to top politicians on both sides of the aisle are lampooned by these clothing and accessory pieces, with new collections added to the online catalog on a month to month basis. Free shipping is available on every purchase of at least $49 or more.